Which, in retrospect isn't the most terrible thing in the world, because simply doing nothing has its place. But even then, cabin fever almost always happens, so getting out even for a couple of hours is essential for everyones sanity. School may be out this coming week but that doesn't mean your options aren't wide open for entertainment. 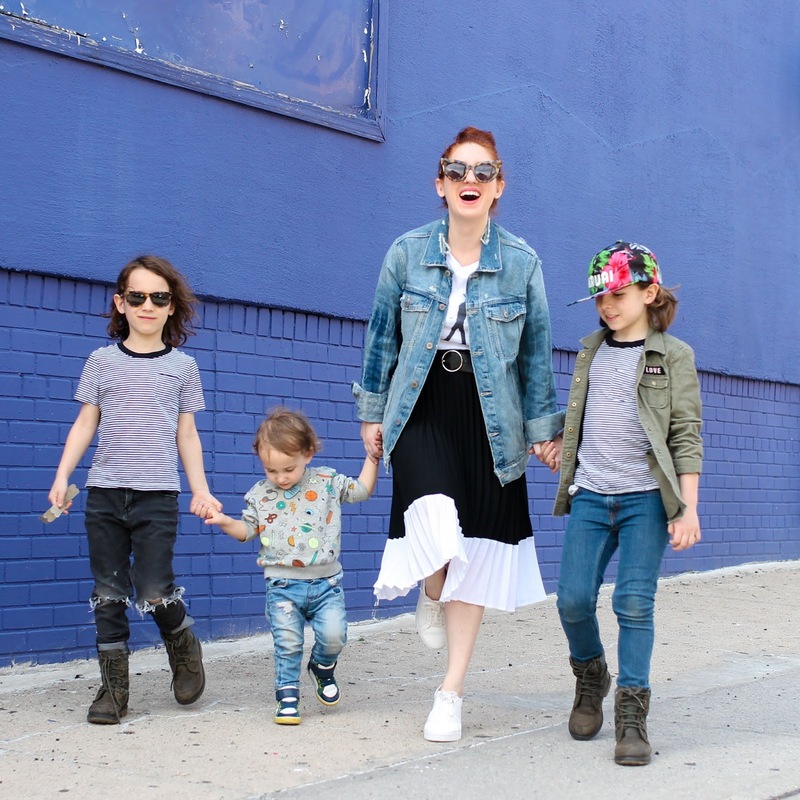 Exhibit A: taking the kids to Chuck.E.Cheese's for an afternoon of playing games and treating yourself to pizza (and maybe a unicorn churro or two). 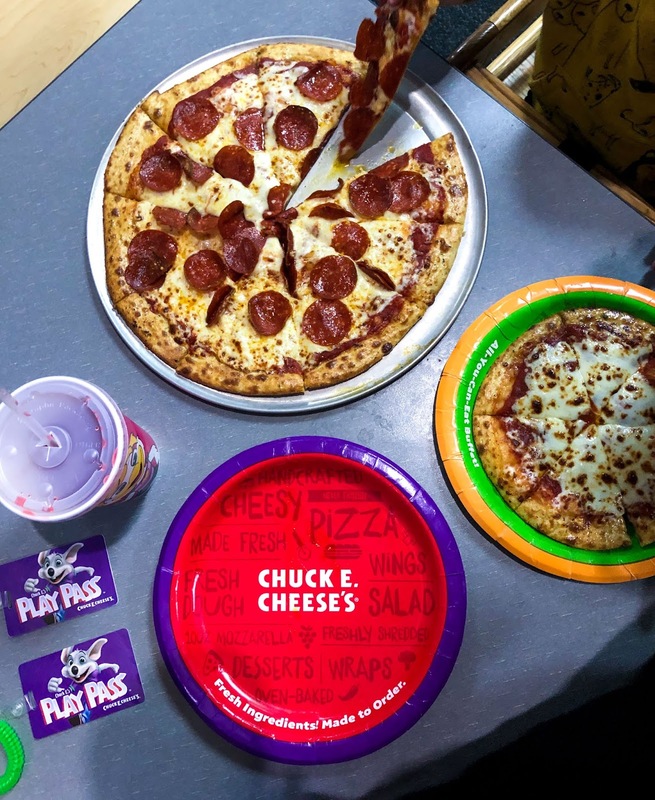 $10 for all you can play at Chuck.E.Cheese's is probably one of the best $10 ever spent. I gave it a try this past week and, WIN! Sure, I spent most of my time chasing a shrieking toddler obsessed with the mouse himself; but he was having the time of his life. And the two older kids were in another world, bouncing from game to game with their play passes. All things considered, it was pretty great. 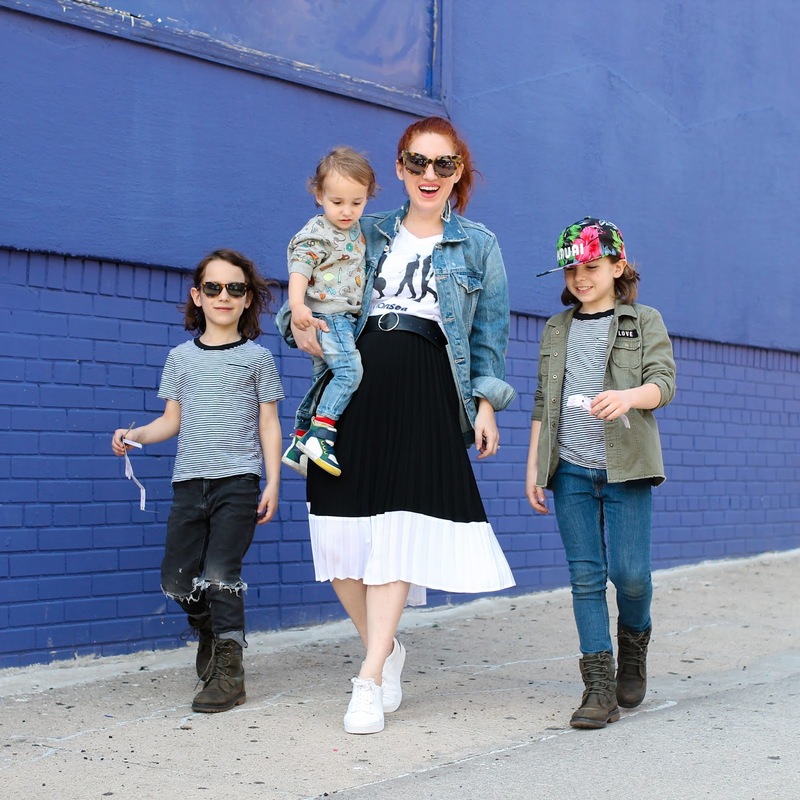 Truth be told, I'll be making it a more frequent occurrence when searching for activities to do with the kids on breaks, weeknights and weekends. First, download the app and sign up for More Cheese Rewards. The very first reward once you sign up is a free 8'' personal pizza on your next visit. I signed up before we headed in and redeemed that pizza the second the little guy said pee-tah! Next, you rack up $10 rewards after visiting three times within a 12-month period ($20 spend per visit required) to use on games, food and drinks. 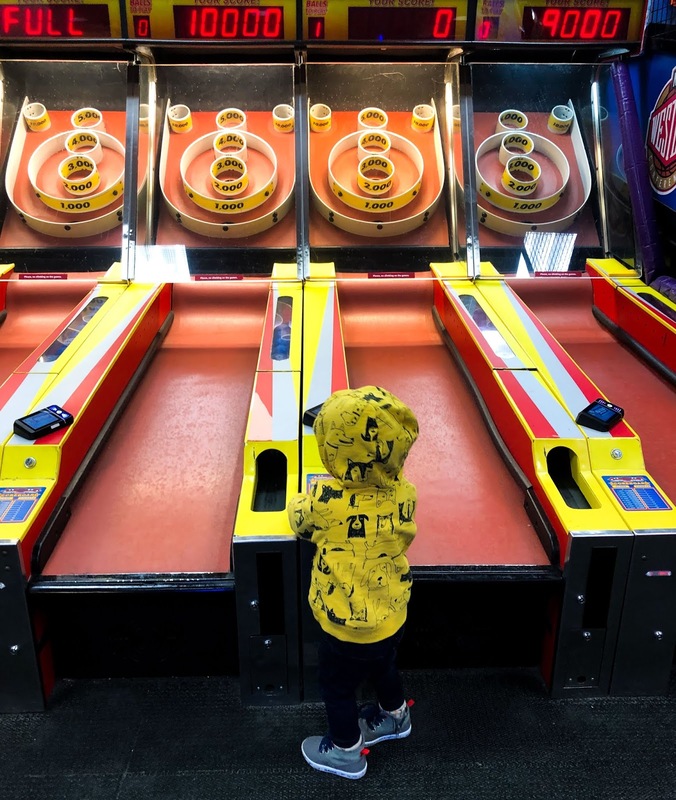 Of course, there's also birthday rewards that every kid looks forward to like, 20 minutes of Unlimited Games during their birthday week (with $10 purchase) and 100 free tickets during your child's half birthday month. Oh, they also have a referral program where you earn 100 free tickets for each friend you refer (max 20/year)! Cool, right? In addition to the More Cheese Rewards, they also have coupons on games and food for your visit, that you can redeem straight from the app. We scored a Medium Pizza & Two Drinks for $18.99! 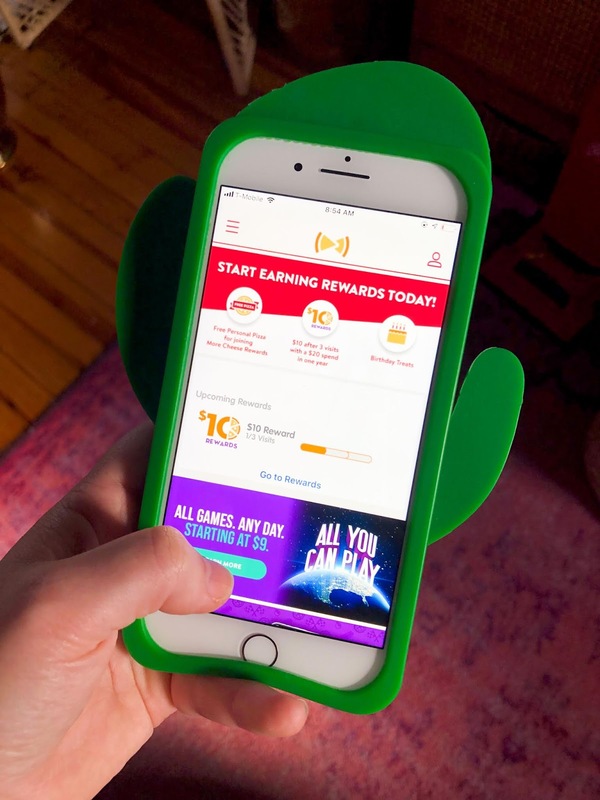 Download the Chuck.E.Cheese's More Cheese mobile app on via iTunes and/or Google Play. 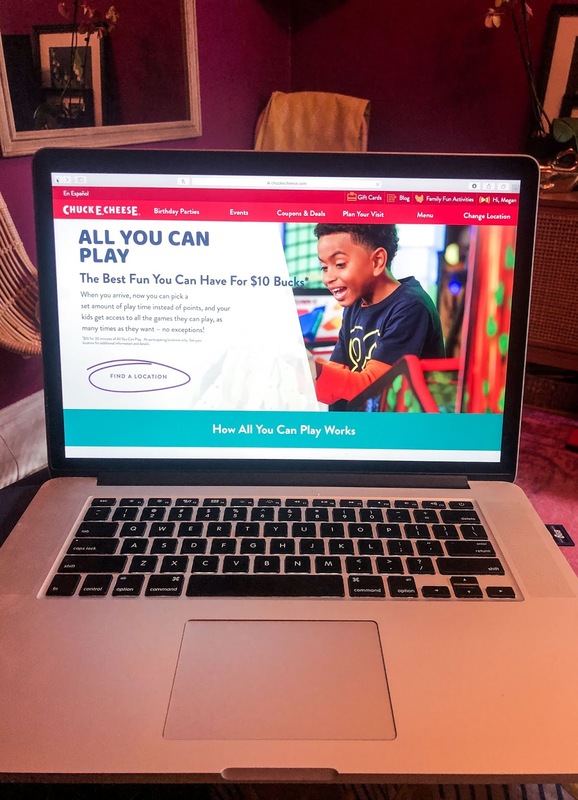 You can also sign up by visiting Chuck.E.Cheese's online.